The Rooferees Support Ronald McDonald House | Weatherguard, Inc. The Ronald McDonald House has been providing housing and resources to families whose children are receiving treatment in Omaha area hospitals for decades. The home relieves families of the burden of housing expenses while in Omaha, allowing them to focus their attention on their child. Weatherguard Inc. had the pleasure recently of supporting the Ronald McDonald House as they underwent a significant expansion. The Hope and Healing Expansion project was launched in 2017 to raise funds for the expansion of the Ronald McDonald House. In recent years, more than 800 requests for housing from families were denied due to lack of space. When finished, the project will add more than 20,000 square feet to the building and double the rooms from 20 to 40. Weatherguard Inc. installed all new siding and gutters on the existing and new space. We are grateful for the opportunity to participate in this project for the Ronald McDonald House, which has served so many families. The expansion means more families can be helped, and we are grateful for the opportunity to contribute to the project. 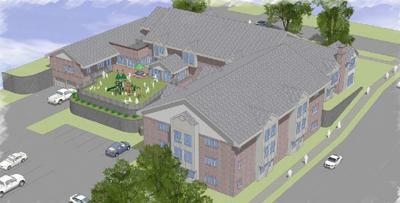 You can learn more about the Ronald McDonald House expansion here.